AHRC: CAN WE COUNT ON YOUR GRACIOUS SUPPORT? American Human Rights Council > Updates & Releases > Uncategorized > AHRC: CAN WE COUNT ON YOUR GRACIOUS SUPPORT? Every human being has human rights by virtue of being human. Human rights are not privileges or luxuries. It is our collective responsibility to advance human rights through creating and advancing the culture of human dignity and human respect and to speak up when human rights are violated. AHRC employs its media outreach and grassroots mobilization to advance human rights and promote human rights in the US and abroad. AHRC’s “Prisons and Family Gift Program- No Prisoner Left Behind” is a leading initiative where through the generous support of donors and supporters like you AHRC has managed to provide 80 gifts at $100.00 to 80 inmates in state and federal facilities. Those prisoners are our brothers and sisters in humanity and are often forgotten. AHRC has provided guidance and resources to inmates and their families. AHRC has investigated, assessed, and monitored prisoners’ cases and has advocated for prisoners’ rights. With your generous support we can continue to make a difference in the lives of countless fellow human beings. 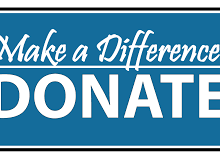 Donate today and be counted as part of the solution, helping to build a better today and future. The premise of human rights is that every person counts and every person is valuable and can make a difference. A donation of $5, $10, $20, or whatever you can can help us continue our work. No amount is too small and every donation counts. We appreciate your friendship and your support. Thank you. The American Human Rights Council (AHRC) is a non-profit organization dedicated to protecting, promoting, and defending human rights, as defined by the US Constitution and outlined in the United Nations’ 1948 Universal Declaration of Human Rights (UDHR). Since its inception on 2013, AHRC has been dedicated to advancing human rights here at home and abroad. Wherever is the need and whatever is the cause, AHRC tried to offer the help. Since its inception AHRC managed to create a strong base of supporters and friends who graciously helped the AHRC do its noble work so that the values and culture of these rights will empower those who have been marginalized, denied or violated. AHRC collaborated with other civil and human rights organizations and maintained constructive relationships with courts, social services, governmental agencies and the human rights community.